Fermented wheat germ extract (FWGE) is the main ingredient in both AvéULTRA and Metatrol. While it is well known that FWGE can put pep back into your step, there are other unique ways that you can use this miracle substance to boost your overall health and well-being. We’ve come up with three unique uses, but please comment below if you have your own unique application for incorporating FWGE into your daily supplement regimen! FWGE is safe for pets! We recommend starting off with a smaller dose. Any person or canine weighing less than 100 pounds should take one capsule per day. For smaller dogs or cats (less than 50 pounds), the recommended dose is ½ capsule per day. You can work your pet up to a larger does if needed (the same way that you can for yourself), but we recommend starting them off on a smaller dosage and monitoring their reaction before increasing to larger doses. While AvéULTRA must be mixed in a drink with water or juice, Metatrol can be sprinkled into smoothies, on top of yogurt, or any number of your favorite foods. 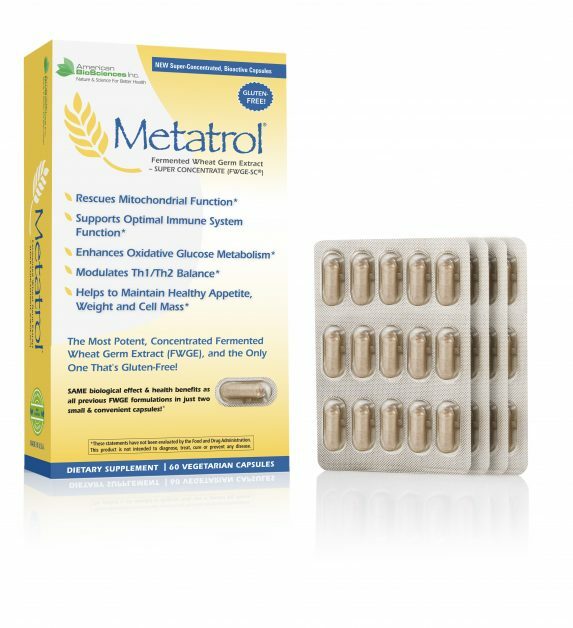 If you prefer Metatrol but don’t like swallowing pills, you can open the capsule and sprinkle it on your desired dish. If you have a serious skin concern, you can make a poultice out of Metatrol. Open the capsule and mix the contents (FWGE) with water, creating a paste. Apply directly to the affected area and cover with a bandage. We recommend reapplying the mixture to the affected area at least once per day. Fermented wheat germ extract can be used for a number of health concerns, ranging from skin issues to aging to pets. FWGE can also be paired with AHCC for an even higher impact on support the immune system and overall health.